Legends of Tomorrow cast 11x17 inch poster distributed exclusively at 2016 Comic-Con. 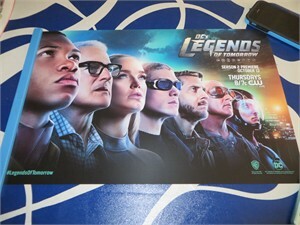 This is an ORIGINAL poster produced by the studio, not a bootleg, reproduction or reprint. ONLY ONE AVAILABLE FOR SALE.